Nothing says quality beef like Angus. Maybe that is the reason Bull dubbed this propane gas BBQ grill the Angus as well. Constructed of 14 gauge, 304 stainless steel, this grill smokes the competition for backyard BBQ quality. Four 15,000 BTU burners work together with an additional 15,000 BTU infrared rotisserie backburner for really high heat. With 5 Bull sure-lite gas valves, this propane gas grill performs above and beyond most gas grills. Four cast stainless burners and an impressive 600 square inch cooking area promises grilling perfection. The heavy duty thermometer helps keep track of food temperatures so your meal is a masterpiece every time. Five heavy duty, push-to-turn knobs with ignition makes operation easy. The rotisserie and chrome plated spit & rod help to enhance your grilling options, while the 210 square inch warming rack keeps your meal heated and ready to eat. The built-in lights make it easy for you to grill into the night. A full length handle and dual-lined roll top hood makes interior access safe and easy. A hose and regulator is included with this propane gas grill. All Bull grills are CSA Gas Certified. Cooking Grid Dimensions 30 X 19"
Bull Outdoor Products warrants to the original purchaser that when subject to normal residential use, the grill is free from defects in workmanship and materials for the periods specified. 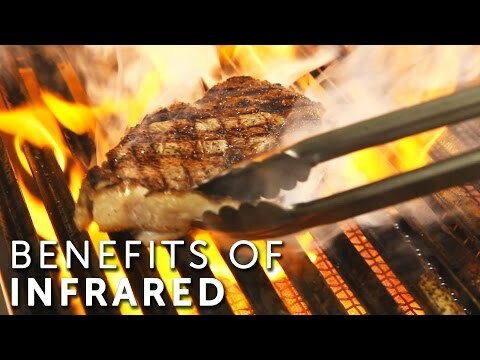 Cast stainless steel burners and cooking grates are warranted for the grill lifetime. Stainless steel flame tamers are warranted for three (3) years. Stainless steel cooking grids, stainless steel frames, and housings have a lifetime warranty. All other components are warranted for one (1) year. Received my order on the Bull Angus 30" a couple weeks ago and it was well packaged and protected. I was able to install it last weekend after a little work to widen the BBQ island. The grill heats up very fast and did a great job on some rib eye steaks . The next night I used the rotisserie with two 5 lbs chickens and they came out perfect! Very moist and delicious. Very happy so far and would highly recommend for a mid-level BBQ that is built to last. I bought this same model Bull BBQ in 2009 when I lived in Temecula, CA and had my custom backyard done. I sold the house in early 2015 when I moved to the east coast and for the length of ownership it performed admirably. Not a single ounce of rust in or out. I used it weekly and cleaned it thoroughly every 2-3 months. I now live in Maryland and am looking at purchasing this model again due to its performance. The price is certainly higher than 2009 for the same model and I am comparing this one to the Lion L75000. Bull offers this same grill in a more bare-bones model, no lights, no rotisserie kit for several hundreds less if those features are not important to you. Overall, I recommend this grill to anyone looking to make a purchase that will last for years. During my years of ownership (6 yrs) nothing broke or stopped working so I never had to exercise the warranty. The Piezo igniters were still going strong after all that time with very similar spark. As long as the burners are cleaned and kept clog-free from falling grease, no issues on igniting. I have owned my Angus grill for 3 years now. I grill on it at least 3 times a week year around (more in summer) due to Arizona weather. I remove and clean all the internal parts (grids, reflectors, ect.) once a month. The grill grills as good now as the first day I used it. I bought the cover which I now need to replace but otherwise this is a great grill that I recommend highly. Bull's highest quality grills include Angus, Brahma, and Diablo models. Bull started building great grills in the nineties and have been going strong ever since! 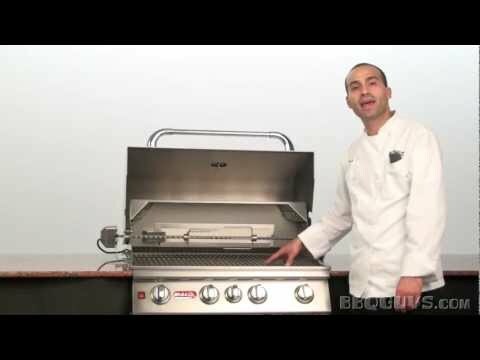 They make a well built, good cooking grill at a good price point, and they have become a popular centerpiece for many outdoor kitchens across the country. From a durability perspective, I like the commercial grade 304 stainless steel exterior housing and cooking grids, both backed by a lifetime warranty. The hood is made from a thick 14 gauge 304 stainless steel that is sturdy and great for heat retention. 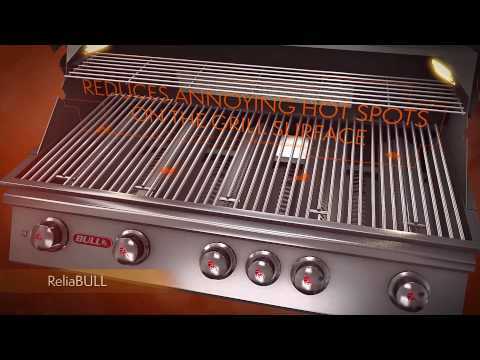 As for how it cooks, Bull's ReliaBULL technology provides these grills with preforated stainless steel flame tamers that spread the heat evenly to reduce hot and cold spots, while improving the heat intensity of the grill. Bull uses a simple, but reliable, piezo powered, flame thrower ignition system. I really like that this system doesn’t need batteries that eventually wear out and have to be replaced. While not all Bull gas grills are same, their Angus, Brahma, and Diablo models stand above their other models in terms of features and quality components. For starters, these models are powered by heavy duty cast stainless steel burners, backed by a lifetime warranty. Also, these models come standard with a rear infrared burner and rotisserie kit, and interior lights which makes it easier for nighttime grilling. The Angus is a 4 burner model and the Brahma is a larger 5 burner model. The standout of the group though is the Diablo. The 6 burner Bull Diablo Grill features 105,000 BTU's of power, and 1564 square inches of total cooking area. This is definitely an impressive model for the price. While the Bull warranty is strong on the housing, cooking grids and burners, the flame tamers are only backed by a 3 year warranty and the valves are only backed by a 1 year warranty. 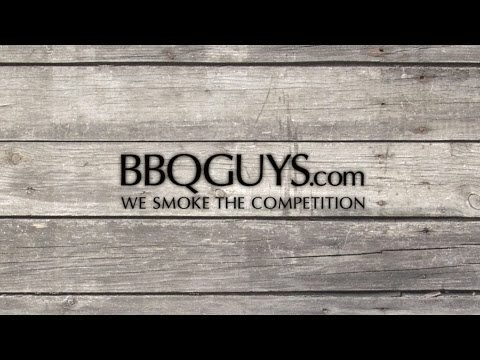 You want the highest quality gas grill made by Bull, a good company that's been around for a while. Hi, Mike. You should be able to heat a pizza stone to those temperatures with this grill. What size gas line do i need to hook up this natural gas grill? What size gas line for the built in 2 burner natural gas unit? Hi, Len. Instructions on gas hookup can be found in the instructions manual under Manufacturer's Downloads. You'll need to consult with the licensed gas professional installing your grill to determine the all of the connections and gas lines you'll need. Is an electrical supply necessary for this grill other than the rotisserie? I am hoping to make sure there are outlets for all of the appliances including the 2857432. Hi, Duane. The grill also has two halogen lights in the hood that will need power. 30 X 19" 33 1/4 X 17 1/4" 30 X 18" 30 X 18"
31" 32 1/2" 30 5/8" 30 3/4"
21" 20 1/2" 20 3/4" 19 1/2"
9 1/2" 10 1/4" 8 1/2" 8 1/2"